Often times I’m asked about how I learned to use my camera. First, let me just say that sometimes I look at my camera, three years later, and am still amazed that I really do know what all the buttons are for now. Once you learn it, it’s somewhat unbelievable that there isn’t more to it. It becomes second nature for you. Promise! And secondly, please note that I am a self-taught photographer. So, these posts will probably lack a whole lot of technical jargon and explanations that I’m sure are taught in actual photography courses. There was something within me that wanted– passionately– to make beautiful pictures, because life is just that– beautiful. And, I was fortunate enough to have been blessed with a wonderful father-in-law who passed along his first digital camera to me when he upgraded. It is a Nikon D70, and I still use it to this day as my back-up camera. And from there, the journey begins. In October 2007. There were SOOOOO many buttons. I was overwhelmed. However, I knew that behind all those buttons and functions were those gorgeous pictures that I drooled over when flipping through books and magazines. And, since my father-in-law was into cameras (even before digital) I had a great source to depend on when I just couldn’t figure it out by reading my owner’s manual. Step one: I read and still utilize my owner’s manual. It goes everywhere with me! And yes, I read that thing 4 times throughout the years, and even just tonight I referred to it (of my new camera) for an explanation of another function I became curious about. And I have my camera in hand at all times while reading, practicing what it is telling me. If I didn’t understand what a word meant (iso, aperture, shutter speed, exposure, etc.) I immediately looked it up online for a better understanding. Step two: I understood that I needed to be in charge of the outcome of my photos rather than the camera choosing the outcome for me. ::ahem:: Stopped using my camera in auto exposure mode. Once I made a pact never to switch over to auto anymore, I ventured to aperture-priority mode (A for Nikon, Av for Canon) which we will refer to as semi-auto; BUT, at least it wasn’t full blown auto. Step three: After killing myself with post-processing those skin tones (taken in semi-auto mind you), to perfect them to where I wanted them, I decided something HAD to give as my time became so much more precious with the birth of our first child in June 2009. I no longer had the time for editing that I had pre-child. And with a little push from the instructor of a workshop I attended in 2010, I became solely a manual shooter which has changed my overall straight out of camera (SOOC) shots dramatically! HANDS DOWN. Voila! And there you have it. Easy peasy, huh? Stay tuned for more in depth explanations of steps 2 and 3. And you know I can’t leave you without a photo Here is one I captured while living in TN (where my photography journey began! And while I was a semi-auto shooter, I admit it). What an unbelievable sight this was though! That would be a hen in grey phase. 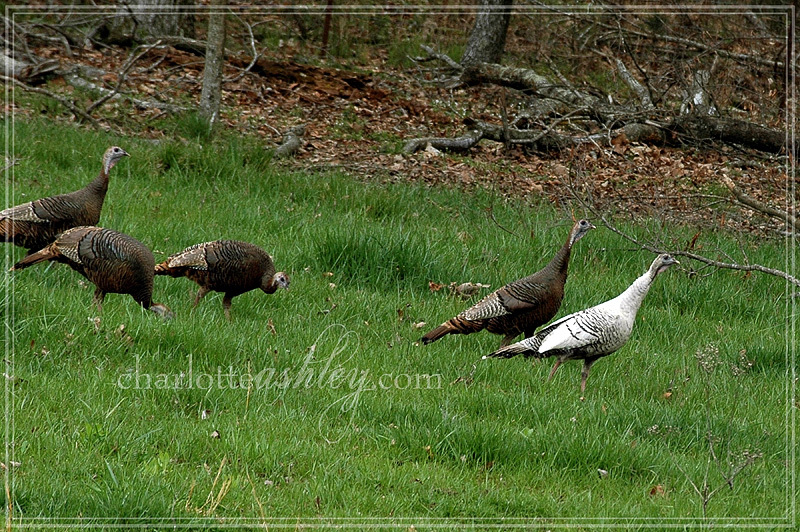 And it is also turkey season now, so thought it was most appropriate for this post But don’t shoot any of these with anything but your camera. tehe.